A tasty stack of savory and sweet that makes plain ol’ ham and cheese seem, well, plain. Spread 1 bread slice with mustard, then spread remaining bread slice with preserves. 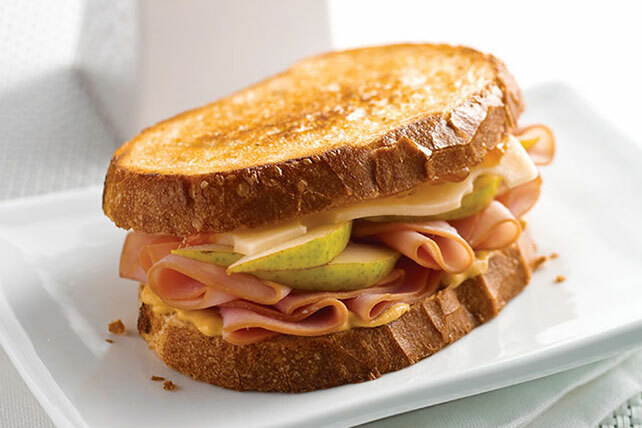 Fill bread slices with ham, pears and cheese. Serve with a side salad and piece of fresh fruit to round out the meal. Substitute thin pineapple or apple slices for the pears. Enjoy this tasty sandwich as part of your breakfast or lunch.